God's Little Daughters examines a set of letters written by Chinese Catholic women from a small village in Manchuria to their French missionary, "Father Lin," or Dominique Maurice Pourquié, who in 1870 had returned to France in poor health after spending twenty-three years at the local mission of the Société des Missions Etrangères de Paris (MEP). The letters were from three sisters of the Du family, who had taken religious vows and committed themselves to a life of contemplation and worship that allowed them rare privacy and the opportunity to learn to read and write. 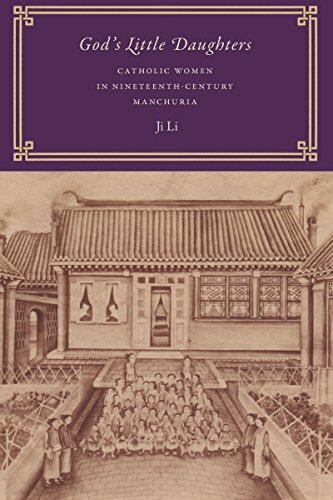 Inspired by a close reading of the letters, Ji Li explores how French Catholic missionaries of the MEP translated and disseminated their Christian message in northeast China from the mid-19th to the early 20th centuries, and how these converts interpreted and transformed their Catholic faith to articulate an awareness of self. The interplay of religious experience, rhetorical skill, and gender relations revealed in the letters allow us to reconstruct the neglected voices of Catholic women in rural China. If you have any questions about this product by University of Washington Press, contact us by completing and submitting the form below. If you are looking for a specif part number, please include it with your message.